I like baked chicken a lot, and I fix chicken in a lot of different ways. One thing I don’t like about baking a whole chicken is the juices that collect inside the chicken that take so long to be cooked. At times most of the chicken is done, but there are still just barely warm juices inside and the meat next to the thigh bone is still raw. There is an easy way to eliminate that, and it makes for a better, juicier chicken. 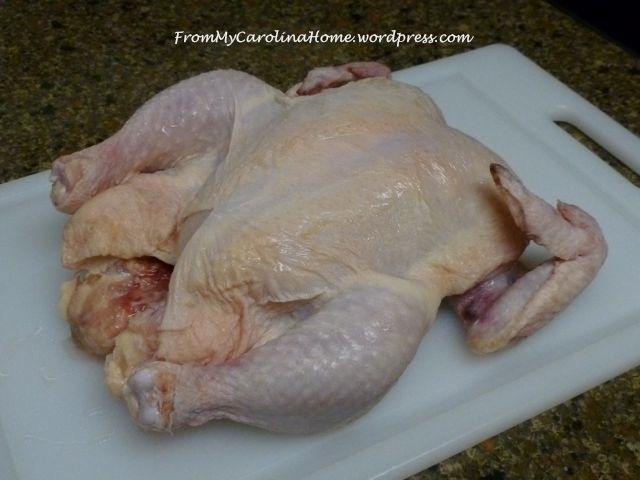 If you don’t have to cook the chicken longer to get the thighs fully cooked then the white meat doesn’t dry out. It isn’t hard to do this. All it involves is removing the backbone. You’ll need a pair of kitchen shears to do the job easily, but you can use a wicked sharp knife if you don’t have shears. 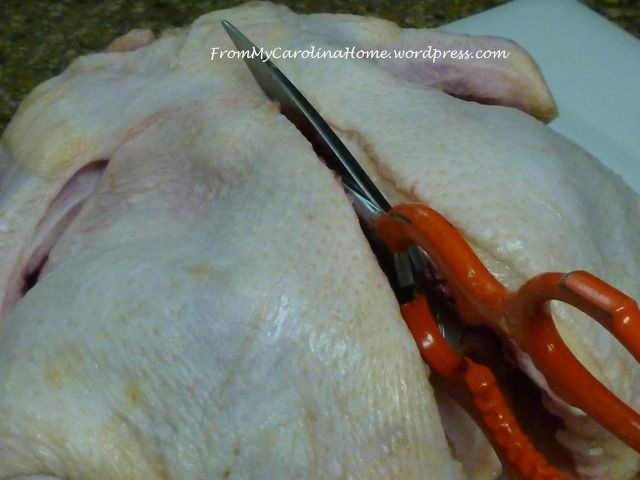 The advantage to shears is the serrations on the sides of the blades hold the meat in place as you cut. And it is harder to cut your own fingers too. So you start with a beautiful 4-5 pound chicken, after all, we want the leftovers for chicken soup and great sandwiches. Flip it over. Start by cutting down the side of the backbone, releasing the thigh bone from the socket as you get to it. Continue up the side to the neck cavity. Repeat for the other side and remove the backbone. Lift the rib sections with your fingers and remove. 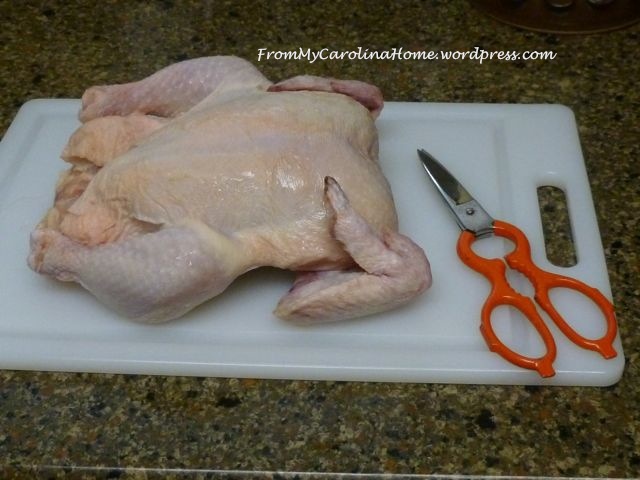 Then flip the chicken over and press down on the center of the breastbone from the front with the heel of your hand to flatten it. You will hear it break. If you want, you can remove the wishbone too, but I leave it in. Place it on a rack over a large pan to catch the drippings. 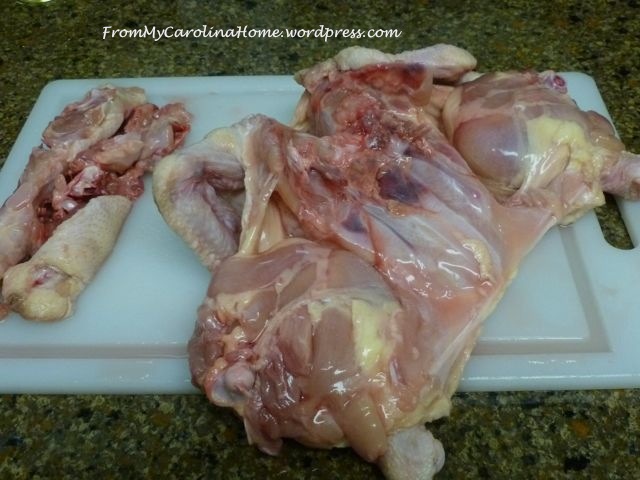 Turn the thighs so the bones face outward for even cooking. Turn the wing tips under. Add herbs and spices to your liking to the skin. You can add herbs under the skin as well if you like. Sometimes I use basil leaves and orange zest – really good!! Today was lemon-pepper, garlic salt, thyme and oregano. 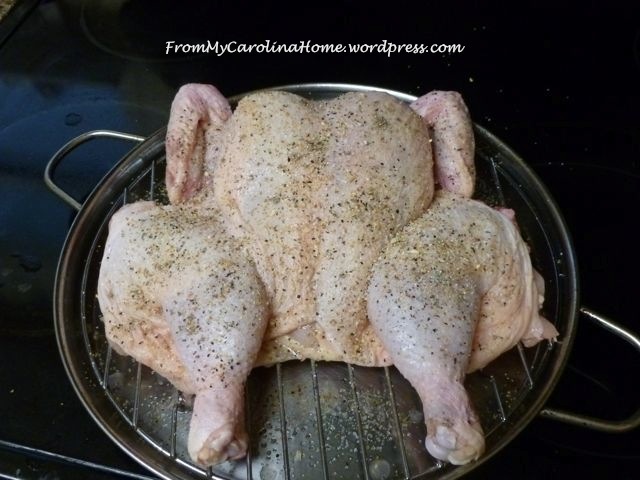 Bake with the legs toward the back of the oven at 350 degrees for about one hour for a 4 pound chicken. A little more or less for weights greater or less than 4 pounds. It will only be 5-7 minutes difference for a 1/4 pound weight variance. 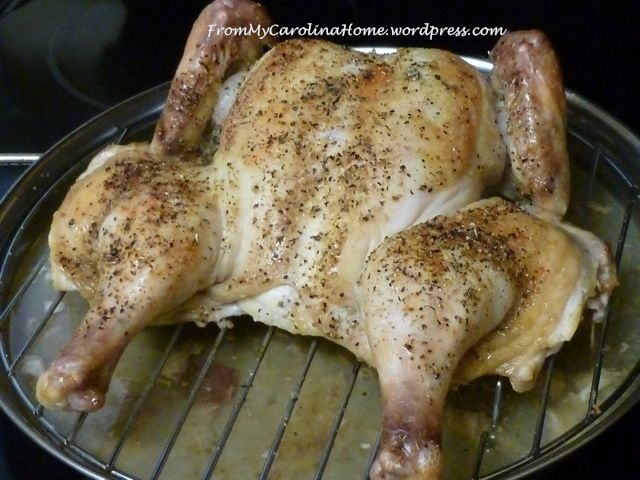 Beautiful, browned, fragrant chicken with moist white meat. The added benefit is there is more crackly skin since it isn’t sitting in its own juices. Also, most of the excess fat is now at the bottom of the pan. 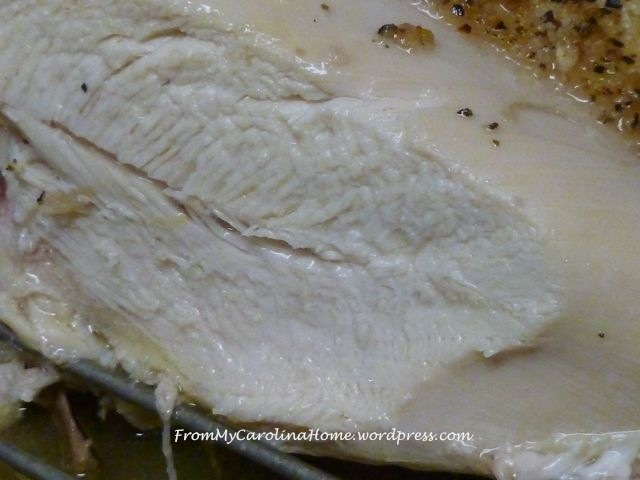 An added benefit of cooking a whole chicken this way is the bones get some exposure to the oven heat while roasting. When you use them with the leftover bits in a soup or stew, the flavor is enhanced just that much more. Chicken and dumplings next for these cooler evenings. Yum!! 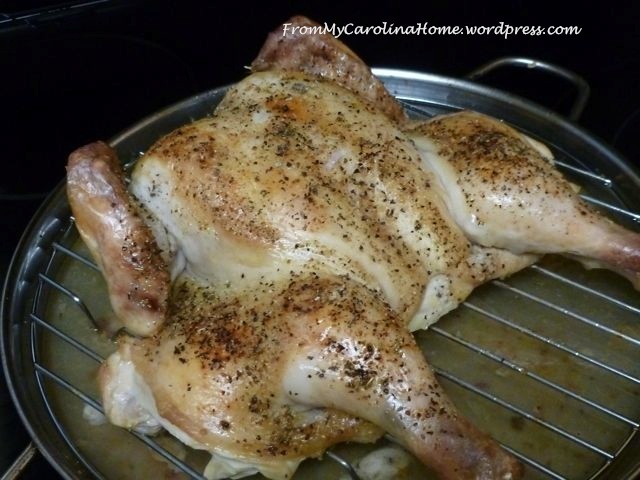 Have you ever cooked a chicken this way? What do you like to do with your leftovers? Thanks for this information. I have a problem with that juice that’s inside. Then if I cook it longer, it’s “overdone”. You can’t always control who walks into your life, but you can control which window you throw them out of. This looks yummy. I love chicken & will definitely try this, thanks for sharing! I just bought a chicken today…Now I know how I will cook it! Thanks for sharing. I haven’t, but I will now! I even have a new pair of kitchen shears my son brought back from Korea. Time to test them out! Thanks! Love grilled chicken. This looks like a quick way to grill the whole thing at once. 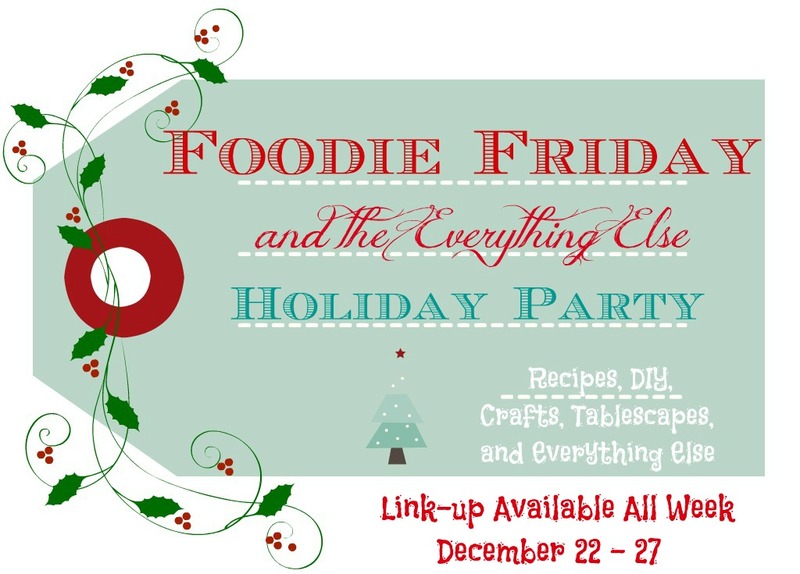 Thanks for linking up at Show Me Saturday! Hope to see you there again this week.